In recent times, the Financial Conduct Authority (FCA) introduced new requirements pension transfer rules. The changes make contingent charging plans no longer commercially viable. This completely disrupts the traditional recurring revenue model rule. 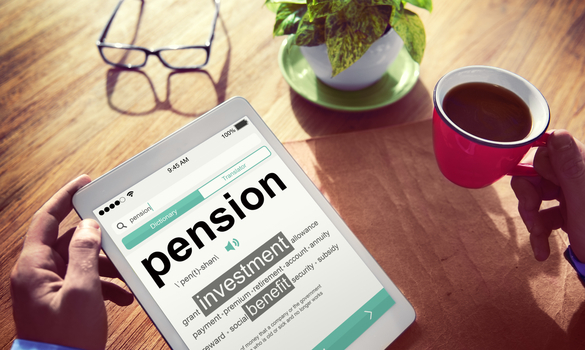 Although they did not ban the practice outright, these new laws have significant effects on pension plan advisors and their clients. Understandably, people are enormously protective of their pensions. It’s vital that the years of toil and hard work pay off, if only to live out one’s twilight years contently in peace and comfort. After all, many employees have been swindled by self-proclaimed financial advisors in the past. Transparency and accountability are both in short supply here, but support for many is still needed. Still, this isn’t stopping a more positive outlook winning through. There are numerous companies out there like Hymans who are on hand to provide pension support and consultations to whomever needs it. Such companies work hard to demystify pensions for their clients and ensure that their expert advice feeds some positivity back into the pension arena, and their client’s livelihoods. They break away from the naysaying and highly publicised drama, and instead opt to focus on what really matters; their clients who need pension support. Still, there are those who argue that putting a price on advice is not just or ethically responsible when it comes to contingent charging plans on workplace pensions. These plans are when an adviser only gets paid if a pension transfer that they’ve advised for a client comes to fruition. Consequently, many questions come into play here; will advisers recommend actions that are against the client’s interests, if only so they can be paid? Is a conflict of interest inevitable, and are clients set to be swindled here too? Neutrality is a big part of what makes contingent charging plans work, and it’s down to the company’s themselves to enforce those standards. Under the right circumstances, the clients of contingent charging plans benefit greatly from these kinds of schemes. This is because their fee is sourced directly from their own pension pot to execute the transfer to their new provider, automatically rendering it free from VAT and taxation due to it being an authorized implementation charge. Still, there are those who feel more comfortable with a fixed fee for all financial accountant or investing advice offered. After all, this eliminates the potential for rogue advisers to do and recommend as they please to secure that crucial payment. Now, there’s no extra incentive for them to stray from the path or go off the rails; they’re paid, and now their much-needed services are called into action. Objectivity is more likely to be secured here, which leads many people to prefer this route. However, advisers using contingent charging models will effectively no longer find their practices economically viable. The FCA rule make it near impossible. Consequently, firms can no longer squarely rely on this method to centre their business around. Of course, it’s possible that some pension advice businesses could implement occasional variations of this service, but their dependence on it can no longer be in their commercial interests. Of course, following this, more organic solutions and consultations will take place. Clients will now undoubtedly get the right advice for them and their circumstances. Those advisers who’d partially continue along the course of contingent charging plans would no doubt need to hike their fees to higher rates. That said, if they’re sourcing adequate funding from other consultation models within their firm, then they themselves may be less inclined to mislead their clients and instead offer genuine advice.